This statistic shows the annual production value of the food and beverage service activities industry in Malta from 2008 to 2016. 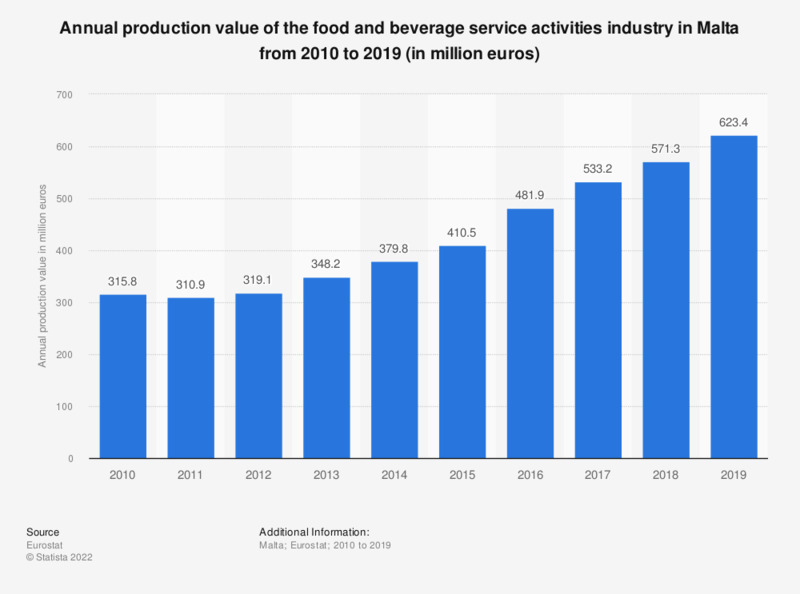 In 2016, the production value of the food and beverage service activities industry came to approximately 481.9 million euros. Data coverage corresponds to code I56 of NACE Rev 2.